To puff or to chew? A prominent disclaimer on packaging doesnt seem to deter consumption of marijuana-infused edible products, such as those seen here, says Kristin Hoff, office manager at Durango Organics. 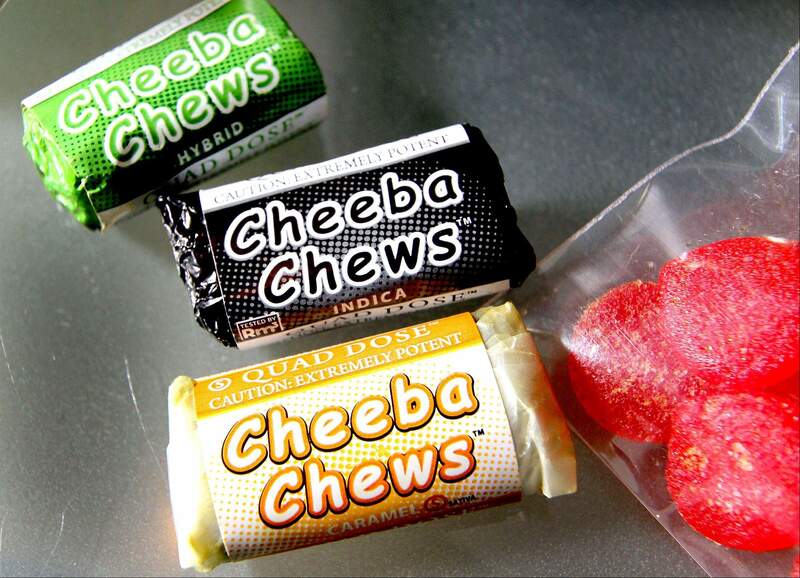 A variety of marijuana-infused edibles and chewables can be acquired at Durango Organics. Among the munchies many such stores sell are baked goods, candies, sauces, spreads, tea, ice cream and honey. A variety of marijuana-infused edibles can be acquired at Durango Organics. Among the munchies many such stores sell are baked goods, candies, sauces, spreads, tea, ice cream and honey. Holders of Colorado medical marijuana cards who dont want to smoke their tetrahydrocannabinol  or THC, the principal component of the cannabis plant  can select from a virtual supermarket of edibles. Among the munchies are baked goods, candies, sauces, spreads, tea, ice cream and honey. Patients who have celiac disease can find gluten-free products. 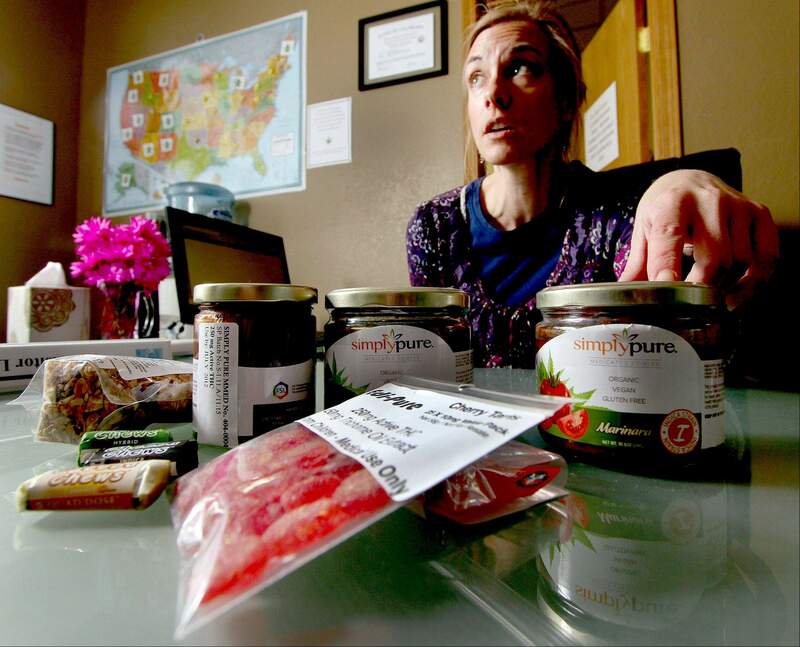 But Kristin Hoff, the office manager at Durango Organics, said she hears an occasional comment about the lack of variety in low-sugar edibles. The sale of marijuana edibles falls under the vigilance of the Medical Marijuana Enforcement Division of the state Department of Revenue, as do the operation of dispensaries and the cultivation of marijuana. We regulate the commerce in medical marijuana in the three areas, said Julie Postlethwait, the enforcement division spokeswoman. The Colorado Department of Public Health and Environment has about 80,000 people in its Medical Marijuana Registry. A moratorium on applications imposed Aug. 1, 2010, to keep the system from being overwhelmed, is due to be lifted July 1. Once that happens, there no longer will be provisional licenses, Postlethwait said. No one will be able to open a business without a license in hand. Since there are no sanitary requirements, infused products (edibles) are not considered food and therefore dont come under the jurisdiction of the state health department, Postlethwait said. The Food and Drug Administration plays no role, she said, because under federal law marijuana is illegal. Medical Marijuana Enforcement Division inspectors, who must be POST-certified (Police Officer Standards Training) oversee and investigate the three phases, she said. Eric White, a former confectioner who started concocting marijuana edibles when his business fell off with the recession in 2008, is aware of the challenge. We use only high-quality materials and we do a lot of testing, White said. Its what we feel we have to do for our patients. 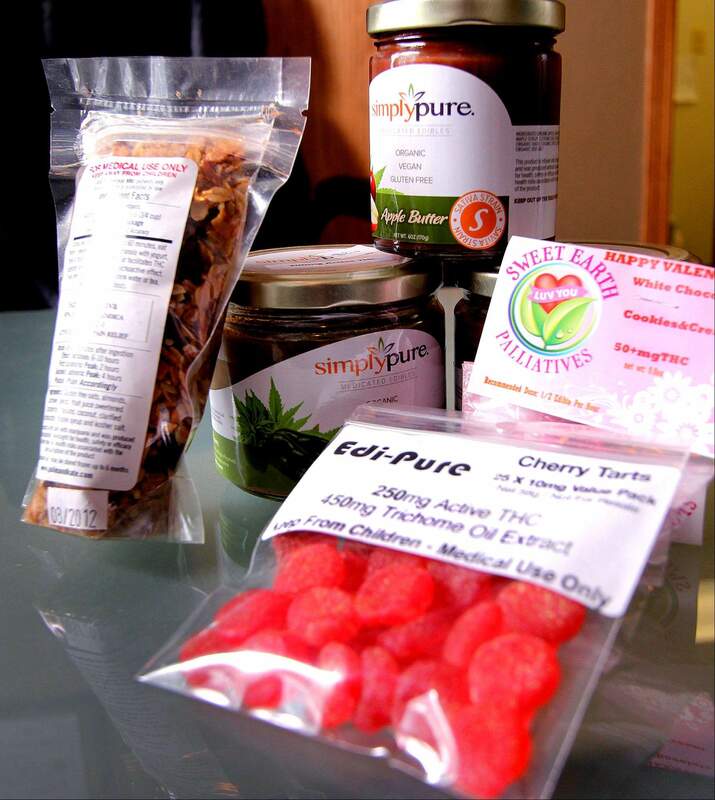 Wanda James, who owns Simply Pure in Denver with her husband, Scott Durrah, and Lauren Gennet, is equally aware of the need for producers of edibles to police themselves. James grows her own marijuana. We use only the bud, never the trim, James said. Many Simply Pure products are packaged in foil by machine to extend shelf life, she said. The owner of a dispensary must grow or control the cultivation of at least 70 percent of the product sold, Postlethwait said. A purveyor of edibles may own a grow operation or buy from a dispensary. Edibles must be produced in a single-use kitchen. No non-infused edibles can be cooked there. The product package must bear a label listing company name, list of ingredients and nutrition facts if nutritional claims are made. If the product is made for a specific patient, the label must bear the patients Medical Marijuana Registry number. A physician must certify that a person can benefit from medical marijuana before a card can be issued. Seven ailments qualify an applicant for a card: cachexia (loss of body mass not because of dieting), cancer, glaucoma, HIV/AIDS, muscle spasms, seizures, extreme pain and severe nausea. Some applicants list more than one ailment. The lack of oversight of the content or quality of edibles and the prominent disclaimer on packaging apparently doesnt deter consumption, Hoff of Durango Organics said. White of Gaias Garden sees nothing but good coming from potential ballot measures to allow marijuana to be sold much like alcohol and tobacco. Legalization would increase knowledge and put financial investment in the industry on surer footing, he said. Almost 161,500 people applied for a card to purchase medical marijuana starting in June 2001, when the Medical Marijuana Registry opened, to Aug. 1, 2010, when a moratorium on applications took effect. The registry issued cards to 80,550 people. More than 900 physicians signed affidavits saying a patient could benefit from medical marijuana. Extreme pain is cited by 94 percent of card holders as the reason they use marijuana. Only 1 percent each cite glaucoma, HIV/AIDS or cachexia (undue loss of body mass) as the reason for having a card. Men hold 69 percent of the cards, women, 31 percent. La Plata County has 1,480 card holders. Mineral County has the fewest card holders with 10. Denver County tops the list of card holders with 12,062. The overall average age of card holders is 42.